Anyone have a spare ice pack? Commenter rls provides a business owner's reaction to the effects of the Obama Wealth Redistribution™ Plan. ...here is a very true first person scenario. I am 60 yrs old and have owned my business for 24 years and I currently have seven (7) employees that my business provides a decent living for. The longest tenured employee has been with me for 17 yrs. I'm not going to get into the $250,000 argument, I simply do not trust Obama and the Democrats. I personally think that everyone that pays taxes will get an increase in taxes once they let the Bush tax cuts expire. However I am going to close my business, lay off my employees and sell my equipment and buildings before January 20th, IF Obama is elected. I had planned on working two more years and trying to line up financing so my employees could buy me out and then I would stay on one more year (as an employee) and help them transition. Now it is not a big operation and I would sell it to them just south of 1 million, which would be at a discount (actual asset value). Obama's stated intent is to raise the capital gains tax to 20% (from 15%). That is what he has said he would do....that doesn't include the possibility of what he might do. Now you might not think that the extra 5% is much of nothing, but I have real property (commercial) that has increased significantly over the last 20 years and that extra 5% is going to cost me a pretty penny. So, Senator Obama's election is definitely going to put seven (7) employees out of work and impact my current vendors to the tune of about a half a million per year, one small supplier rather dramatically. That is how taxes impact small businesses. Small businesses, by nature, want to grow....as they grow, they add staff, they buy more inventory, they invest more in plant and equipment and thus they end up paying more (dollar wise) in total taxes. When they are constricted by onerous tax rates, they have no choice but to curtail operations, lay off employees, shrink their business...or like I am going to do, just get out entirely and let someone else deal with the "new" economy. IF, and it still is "IF", Senator Obama is elected, the tax revenue for "spreading the wealth" won't come from me, so you guys will have to pick up my part, and the part of every other small business owner who sees this as I do and is able to bail out. The tipping point is 49% paying and 51% taking. Wonder how close we'll be in two years of a President Obama's term. 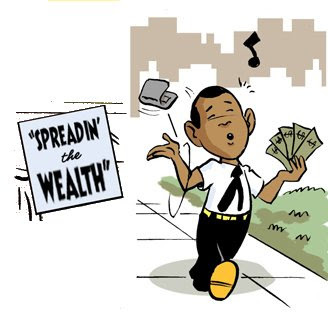 The Obama Wealth Redistribution™ Plan forces the most successful business people to downsize. To retrench. To lay people off. Change! Now that I think about it, I never got a job from a homeless person. 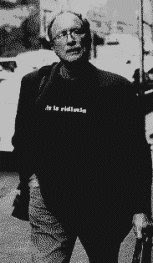 When Bill Ayers was cornered by a Fox News reporter he was wearing a shirt featuring the red star. The red star is the universal symbol of communism, said to represent the "five social groups that would lead Russia to communism: the youth, the military, the industrial labourers, the agricultural workers or peasantry, and the intelligentsia." The Russian military uses the red star to this day. Nothing to see here folks, just move along. Will the innovations never cease? Yesterday I described several, eh, unique capabilities pioneered by the Obama campaign in the area of campaign contributions. Among them, failure to do even basic credit-card validation; accepting untraceable prepaid credit cards; and sharing donor lists with suspect groups like ACORN. Heck, Barack's campaign wouldn't even share those lists with Hillary! 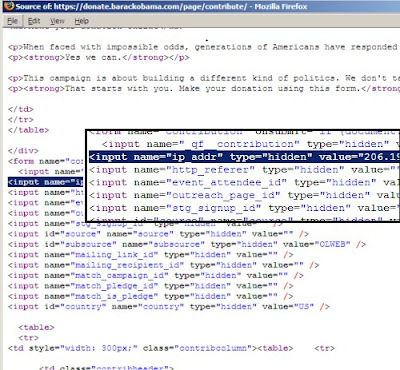 Anyhow, an anonymous tipster mentioned that checking out the source code of the Obama donation website (https://donate.barackobama.com/page/contribute/ - not hyperlinked for obvious reasons) would reveal some interesting logic. Specifically that IP addresses of the donors can be easily spoofed through a hidden field in the form. The tipster's guess was (and I concur) that the Obama campaign is recording the spoofable IP address... not the real IP address as delivered by the web server. It's web security 101, folks. Because IP addresses usually map back to a real client network (your ISP, your company, etc. ), server logs record the actual source IP address of the request. They certainly don't record anything that the client machine provides as the genuine address. Put simply, there's no reason to include a hidden form field for IP address. It's useless, insecure and supports IP forgery. The net result is that IP addresses recorded in this manner can't truly be resolved to a real location. Genius! Just chalk it up to yet another startling innovation from the minds of the most creative geniuses on Earth. When it comes to accepting money from all comers, that is. • BizJournals.com, an apolitical suite of city business journals, reports that "Obama tax hikes could hit up to 1.3 million small businesses." I wonder which cutoff Obama is using now. It started at $250K, over the weekend he said $200K, and Joe Biden said $150K on Monday. Pretty soon it will be anyone with automatic withholding. • Pittsburgh Live reports that a former ACORN staffer has testified regarding the coordination between the Obama campaign and ACORN's various affiliates. Non-partisan, non-profit ACORN. Right. • The London Daily Mail proclaims the news with a bold, attention-getting headline: One dead, thousands without power and the first October snow in London in 74 YEARS as Arctic blast sweeps across UK. What's the appropriate branding for this massive Goreian scam? "Global warming"? "Climate Change"? "Deadly global non-warming"? • The CEO of firearm manufacturer Cooper Arms decided to back Barack Obama for president. Only 48 hours later, a company press release concluded with the sentence "We wish him [the former CEO] all of the best in his future pursuits." • Rick McKee discovered the root cause of Sarah Palin's falling poll numbers. An account of Barack Obama's youth has been released in the form of a Classic Comic. Jim Treacher's got an early peek. The Obama campaign's amazing finance "innovations"
• turn off all online credit card validation, a step that would be utterly unheard of in the world of electronic commerce (In fact, it should have "raised flags at Visa and MasterCard... 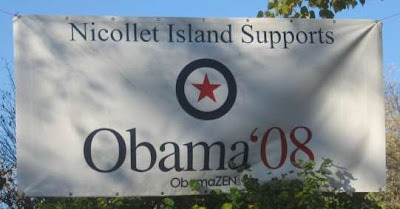 I wonder if they warned the Obama campaign, or worse, ignored it." Or whether the merchant acquirer, Visa and/or Mastercard themselves were somehow involved?). • accept "untraceable prepaid credit cards that [can] be used to evade limits on how much an individual is legally allowed to give or to mask a contributor's identity". • to give donor lists to a supposed non-profit, non-partisan organization like ACORN, which is reportedly being investigated in a dozen states for rampant vote fraud. This is not the ACORN I thought I knew. Update: In keeping with the squeaky clean reputation of the Democratic candidate, Fausta reports that retailer GAP is distributing Vote Twice buttons. Bernie says that this is the fastest production car in the world. Click the image for the video of a Brit hitting 253 MPH in one. I got a tingling in my leg when Obama walked by. Then I realized it was Obama’s hand in my pocket. We've seen Digg, Ideastorm and Innocentive take advantage of "the wisdom of crowds"; now Intel and Asus are taking it to the next level. 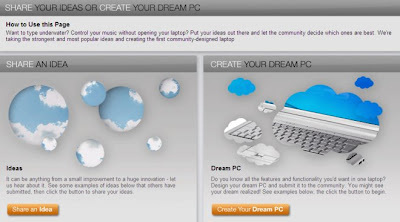 The aim of the WePC project is to launch "community designed" PCs. Definitely a trend to watch. You know the videotape that shows Barack Obama toasting PLO terrorist Rashid Khalidi? The one that the Los Angeles Times refuses to release? How frickin' stupid do they think we are? Someone gave the Times a videotape so it wouldn't be released? And they can't publish a transcript? I guess that's the kind of executive talent the newspaper business is attracting these days. However, I received a tip from a person who has provided useful, accurate and unique data from LA before (e.g., "All six of CNN's 'undecided voters' were Democratic operatives"). Take it for what it's worth, but I believe this person is on target. Saw a clip from the tape. Reason we can't release it is because statements Obama said to rile audience up during toast. He congratulates Khalidi for his work saying "Israel has no God-given right to occupy Palestine" plus there's been "genocide against the Palestinian people by Israelis." It would be really controversial if it got out. Tha's why they will not even let a transcript get out. Yep, I guess that would do it. Is there really a tape? Yes. The Times has acknowledged that the tape exists. Why won't the Times release the tape? They've now come up with four reasons over the past few days for suppressing the video. None of the answers make sense. As for their most recent excuse (they promised not to release it) Ed Morrissey asks the critical question. "'The Los Angeles Times did not publish the videotape because it was provided to us by a confidential source who did so on the condition that we not release it,' said the newspaper’s editor, Russ Stanton. 'The Times keeps its promises to sources.'" That explanation raises more questions than it answers. If the Times promised to keep the videotape under wraps, then it must contain content other than their “detailed account of the events”. What exactly did the LA Times leave out of its reporting in April? If it left nothing out, then what good was the promise not to release the tape itself? Do you know who sent the tip? No. Why believe the tip? 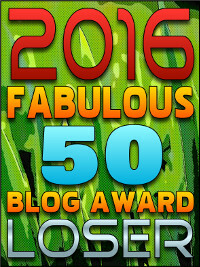 While I receive a lot of tips and links, I seldom publish them. This particular email address has provided accurate and unique information in the past, as I noted above. No one else reported the information and I found it to be accurate in the past. As I said, take it for what it's worth. Why doesn't the Times just publish a transcript? Why indeed. Update II: Debbie, who apparently broke the original tape story, has a suspected source for the video. Charles Johnson and Gateway Pundit have excellent summaries. The Hollywood Reporter reports that MSNBC is under fire from all sides. In a room full of television industry executives, no one seemed inclined to defend MSNBC on Monday for what some were calling its lopsidedly liberal coverage of the presidential election... The cable news channel is "completely out of control," said writer-producer Linda Bloodworth-Thomason, a self-proclaimed liberal Democrat. She added that she would prefer a lunch date with right-leaning Fox News star Sean Hannity over left-leaning MSNBC star Keith Olbermann... Olbermann was criticized by many who attended Monday's luncheon sponsored by the Caucus for Producers, Writers & Directors at the Beverly Hills Hotel. The event was dubbed "Hollywood, America and Election '08." Bloodworth-Thomason and others seemed especially critical of the way MSNBC -- and other media -- has attacked Republican vice presidential candidate Sarah Palin while demeaning her supporters... Attendee Michael Reagan, the radio talk-show host and son of President Ronald Reagan, said he no longer will appear as a guest on MSNBC because "I actually get death threats." ...Pollster Frank Luntz, a regular guest on the Fox News, joked that MSNBC is "the only network with more letters in its name than viewers." On a more serious note, Luntz said it's a problem that the electorate chooses to watch news programs not for information but to confirm already-held beliefs, and that applies to viewers of CNN and Fox News as well... Obama... gets credit because he's a better communicator than past Democrats, Luntz said, comparing the previous Democratic presidential nominee, John Kerry, to one of those trees that threw apples at Dorothy in "The Wizard of Oz." ...Some of the most spirited debate came from the panel's moderator, outspoken conservative Lionel Chetwynd. The writer, director and producer passionately defended the Iraq War and Palin, whom he called "the ideal Jeffersonian political figure." 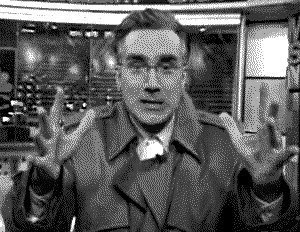 Olbermann is a disgrace. Had he tried labeling a Democratic President a fascist war-monger (say, JFK during the Bay of Pigs or FDR during the Battle of the Bulge) -- he'd have found himself in front of a firing squad, after a six minute trial for treason. At least two different police departments have reported that the Obama clan has a bit of a problem with the police. Like, they don't want to see them, cluttering up the view and such. They've apparently instructed police officers and the Secret Service to run out of the Obama couple's line o' sight. In private, mind you. Jason Kern, a member of the Michigan Tactical Officers' Association, published the following open letter. It would appear to highlight the disdain the Obamas hold for law enforcement. are working with Secret Service in the security of Mr. Obama. Mr. Obama’s bus arrives in Battle Creek and pulls into the stadium area. Before Mr. Obama exits the bus, he has the Secret Service get off and tell all Law Enforcement personnel in uniform that they now have to stand behind the bus so Mr. Obama is not seen with anyone in a Law Enforcement uniform before he gets off or while in the public view. ...everyone from Michigan State Police, Sheriff’s Deptments and other agencies look at each other for a brief second, go and stand behind the bus out of sight so Mr. Obama does not have to see, or been seen with, what to him is `undesirables’ since he refuses to been seen or even acknowledge Military or Law Enforcement personnel in uniform. And he wants to be our commander-in- chief! My Sergeant was providing security in a hallway as Mrs. Obama was moving from room to room for different reasons. He was told by the [Secret Service] that when she came down his hall, he had to duck behind the corner and not allow her to see him. He questioned this several times to be sure he heard it right, and the... agent (embarrassed of course) had to hide from her view, too. 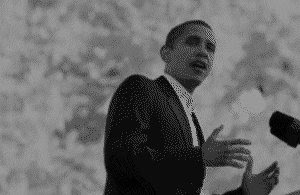 In the 2001 NPR interview that was unearthed this weekend, Barack Obama complained that the U.S. Constitution "reflected the fundamental flaw of this country that continues to this day." Obama also laments that the Supreme Court under Warren didn't mandate a redistribution of wealth as a component of its civil rights decision. So not only is the U.S. Constitution egregiously flawed, but a thinly disguised form of reparations (or simply Marxism) is on the agenda. The audio recording of Barack Obama espousing his socialist philosophy of “redistribution of wealth” is all over the internet and Fox News today (although the other media outlets are ignoring it), but there’s another disturbing section on that tape that has so far escaped notice. The link to the audio is here: Chicago Public Radio - Audio Library: Odyssey. There you have it. America is close to electing a President that compares his own country to Nazi Germany. The doctrines of Nazism look uncomfortably similar to life in the United States? And this man wants us to call him Commander-in-Chief Obama? 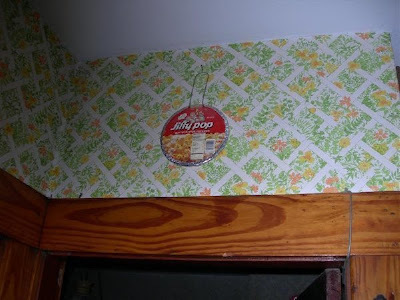 We actually had one of these in our double-wide when I was growing up. The New York Daily News carved out some time between Brad Pitt sightings to devote a couple of column-inches to leftist scumbag Bill Ayers. Ayers left his spider-hole long enough to visit a panel discussion in Manhattan where the topic of his role in the presidential election was discussed. The press was barred from the discussion yesterday at the Stella Adler Studio of Acting near Gramercy Park, but a Daily News reporter managed to get inside. The former member of the Weather Underground beamed at the attention paid by the audience of about 60 people, many of whom were decked out in Obama gear. The crowd gave Ayers a warm welcome, guffawed at jokes about "redistributing the wealth" and nodded at his complaints about the "Republican revolution." After the talk was over, event organizers attempted to sneak Ayers out a back door to avoid the media. Waiting reporters gave chase, but Ayers sputtered, "No comment," and darted into a cab. Never forget that Ayers led an organization that, with its affiliates, killed twelve cops and a Brinks guard. Ayers himself came very close to detonating a nail-bomb at a Fort Dix officers' dance, a terrorist act that would have killed and maimed hundreds. And never forget that the full scope of Barack Obama's relationship with Bill Ayers has never been disclosed. Nor has the mainstream media expressed even the tiniest bit of curiosity regarding their ties. The man only hosted Obama's political coming-out party, served with Obama on the boards of the CAC and the Woods Fund and together directed money to ACORN and the Arab-American Action Network. To be fair, Sarah Palin's latest online shoe purchase is the bigger story. CNet News reports that Scotland's Cascade residential wind turbine is headed to the U.S.. Cascade claims that it is significantly quieter than traditional wind turbines and that it can be mounted directly on a home. Like other wind turbines, the Swift has blades that turn and power a generator. But rather than the typical three blades, the Swift has five and a ring that goes around them. That "outer diffuser" ring cuts the noise level to 35 decibels and reduces vibration, according to the company... 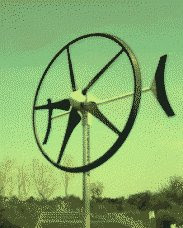 The turbine, with a 7-foot diameter, also has two fins to direct the turbine to face the wind. It can turn 360 degrees and shut down if the wind is too high. It can generate 1.5 kilowatts with 14 mile-per-hour wind and about 2,000 kilowatt-hours over a year, the company said. U.S. households typically consume between 6,500 and 10,000 kilowatt-hours in a year, according to the U.S. Energy Information Administration. Ten grand seems awfully rich, but the concept is a good one. 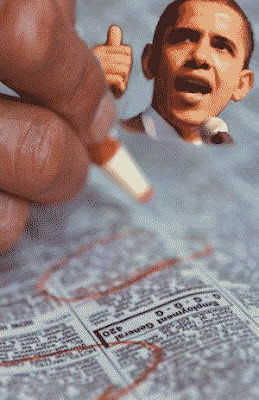 RED ALERT: In 2001 Obama explicitly endorsed Marxism! And I do mean Red Alert. I'm guessing the anointed one thought this particular audiotape had disappeared down the memory hole. Or he'd utterly forgotten about it, what with he and his wife busily planning their move into the White House. In 2001, in an interview with WBEZ public radio, Barack Obama explicitly endorsed a "redistribution of wealth". His words. Well, Karl Marx's words too, but you know what I mean. "If you look at the victories and failures of the civil rights movement where it succeeded was to vest formal rights in previously disposed peoples... But the Supreme Court never ventured into the issues of redistribution of wealth and more basic issues of political and economic justice in this society..."
"...To that extent, as radical as I think people try to characterize the Warren Court, it wasn’t that radical. It didn’t break free from the essential constraints that were placed by the founding fathers in the Constitution, at least as its been interpreted and Warren Court interpreted in the same way, that generally the Constitution is a charter of negative liberties. Says what the states can’t do to you. Says what the Federal government can’t do to you, but doesn’t say what the Federal government or State government must do on your behalf, and that hasn’t shifted and one of the, I think, tragedies of the civil rights movement was, um, because the civil rights movement became so court focused I think there was a tendency to lose track of the political and community organizing and activities on the ground that are able to put together the actual coalition of powers through which you bring about redistributive change. In some ways we still suffer from that." It's clear that the Framers were "all about" redistribution of wealth. They were all up in our faces about it, in fact. Of course, the American people favor economic liberty over Marxism by the razor thin margin of 84% to 13%. But that will change once they get used to a true workers' paradise. The Associated Press offers, "Biden a reliable running mate amid the stumbles." While CNN asserts, "Palin's 'going rogue,' [anonymous] McCain aide says." Later this evening, Jack Cafferty reports on Joe the Plumber's latest colonoscopy results. And on CBS Katie Couric goes undercover to interview Sarah Palin's personal shopper at Saks. 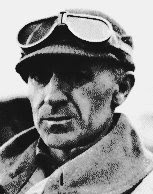 Sometimes I think that the only thing keeping the Earth aligned on its axis is the gyroscopic spinning of Ernie Pyle in his grave. Update: Rants & Refinements has the essentially summary: Brownshirts and Jackboots. RED ALERT: Early voting shows polls off 18% in California! California has begun early voting already as well as mail-in balloting. The number of people who have gone in to vote in person has been extensive. The results so far prove what we had always suspected. The polls are being proven as totally unreliable. Although the results of early balloting have not been disclosed,of course, how many Republicans and how many Democrats have voted has been revealed. The results are simply shocking. The polls showed Barack Obama with an 18 point lead in California just a few days ago. The results thus far are the complete opposite. In the most liberal state in the entire country,the results are that 99,000 Republicans have voted and 96,000 Democrats voted. In the mail-in balloting the results so far are that 9,000 Democrats sent in their ballots and that 5,000 Republicans did so. So with nearly 210,000 people having voted, the Democrats have only a 1,000 vote advantage! If we take the liberty of assuming that all Republicans will vote for John McCain and all Democrats will vote for Obama, then the race is incredibly close. I'm sure that Obama will eventually win in California, but if he is struggling here after he pushed so hard for early voting, then he will lose the election ! Everybody thought he would win California in a landslide, but so far anyway, it's very tight. That means that in the less liberal states he is in real trouble. Ignore the pundits. Forget the polls. Get out there and vote for John McCain. The results in California show the wisdom of Yogi Berra who said, "It's not over until it's over." In retrospect, perhaps this isn't as much of a story as it might first appear. 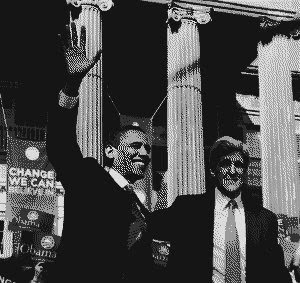 If the last presidential exit polls were to be believed, President Windsurfer Von Kerry would just be wrapping up his first term. Update: AJ Strata says that this is actually the "Third Early Voting Indicator National Polls May Be Way Off." Linked by: American Digest. Thanks! Papa B sent this one in, an excellent complement to the deadly serious Letter from a Small Business Owner. 1. All salespeople will be pooling their sales and bonuses into a common account that will be divided equally between all of you. This will serve to give those of you who are underachieving a "fair shake". 2. All staff-level workers (non-Manager positions) will be pooling their wages, including overtime, into a common account, dividing it equally amongst you. This will help those who are "too busy for overtime" to reap the rewards from those who have more spare time and can work extra hours. 3. All top management will now be referred to as "the government." We will not participate in this "pooling" experience because the law doesn't apply to us. 4. The "government" will give eloquent speeches to all employees every week, encouraging its workers to continue to work hard "for the good of all". 5. We anticipate that the employees will be thrilled with these new policies because it's "good to spread the wealth around". Those of you who have underachieved will finally get an opportunity; those of you who have worked hard and had success will feel more "patriotic". 6. The last few people who were hired should clean out their desks. Don't feel bad, though, because there will be free healthcare, free handouts, free oil for heating your home, free food stamps, and you can stay in your home for as long as you want even if you can't pay your mortgage. If you appeal directly to our Democratic Congress, you might even get a free flat screen TV and a coupon for free haircuts. If for any reason you are not happy with the new policies, please contact your Democratic Congress c/o the Capitol Building, Washington DC. They are well-known for responding to inquiries in a timely fashion. 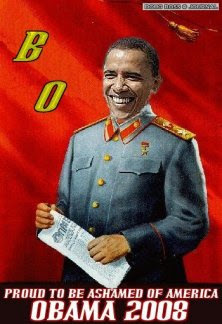 • Gateway Pundit: It has begun: Democrats propose cutting defense spending 25% and nationalizing 401Ks. I figured they might wait until after the election results are in, but what with ACORN and all, perhaps that's not necessary. • Ace: 30% of ACORN's 1.3 million registration are fraudulent. A few mistakes can't be helped, you neocons! • Mark Levin's brilliant The Obama temptation: "There is a cult-like atmosphere around Barack Obama, which his campaign has carefully and successfully fabricated, which concerns me. The messiah complex. Fainting audience members at rallies. Special Obama flags and an Obama presidential seal. A graphic with the portrayal of the globe and Obama's name on it, which adorns everything from Obama's plane to his street literature..."
• Irony alert: Leader of cop-killing group calls cops to throw reporter off sidewalk. Hopefully the police had more important things to do than show up at Bill Ayers' home (does he still call them pigs?). Ann adds, "Ayers is such an imbecile, we ought to be amazed that he's teaching at a university... except all former violent radicals end up teaching. Roughly 80 percent of former Weathermen are full college professors -- 99 percent if you don't include the ones killed in shoot-outs with the police or in prison -- i.e., not yet pardoned by a Democratic president." • Irony alert part deux: Media up in arms over Palin's $150K wardrobe spend... fails to notice that Obama's "Greek Temple" set at Invesco Field cost $5.3 million. Oh. And all of the bills from that night's festivities aren't even in yet. • Gateway Pundit: The Obama camp's multi-million dollar credit-card fraud continues unabated. The door is still open. I guess the sheer technical complexity of turning on credit-card validation has proven too daunting. But don't fret: they're ready to lead! Also: Jammie alert as "Democrats Accuse McCain of Fundraising Violations". Unbelievable. Suitably Flip has the essential wrapup. 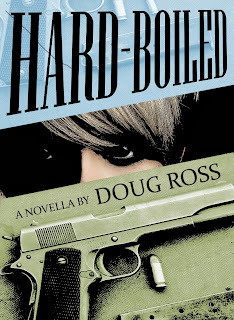 • Russell Brigade: Help defeat John ("My constituents are all racists") Murtha. 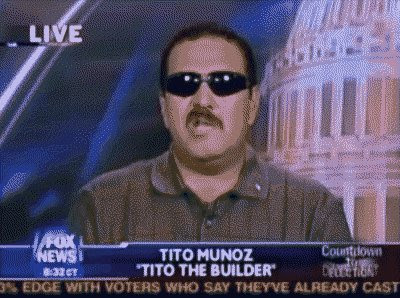 Although I believe he prefers the nickname Porky Haditha. • YouTube: Republican for a Reason. If this doesn't send chills down your spine, nothing will. • WFTV: Five minutes of Hell for Joe Biden. If you're keeping score -- 8,244 media outlets in the tank for Obama bin Biden; 1 outlet is asking real questions. And, "how dare you ask Senator Biden real questions?" Plus: Barbara West responds. Barack says that Biden is crazy like a fox. 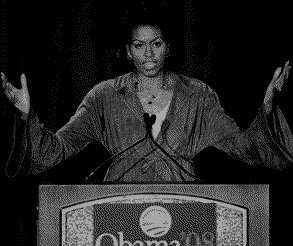 • Blackfive: The Wolf on Obama's Mistress, a story apparently developed by Clinton staffers. Squob has some outstanding coverage of the Action Mobil MAN. 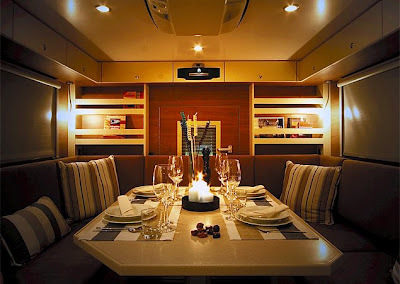 It's kinda like the Hummer of RVs. The price? Read on. 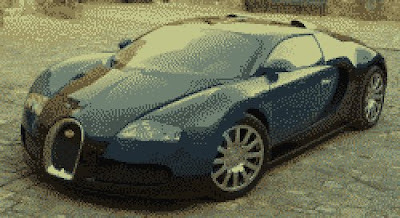 [Imagine] thundering down a Siberian forest road at dusk, piloting a six-wheel-drive expedition vehicle at irresponsible speeds. With DJ Hell’s My Definition of House tearing up the subwoofer. For this, one needs an Action Mobil. I'll bet with the economic meltdown and all, you could get 'em down to $650K. Via: The invaluable American Digest. Update: JL asks, "Wouldn’t that be the EM-50 Urban Assault Vehicle of “Stripes” fame?" Papa B, who manages an M&A firm for small- and medium-sized businesses, writes, "Here's a recommendation we received from one of our clients:"
As a business owner who employs 30 people, I have resigned myself to the fact that Barack Obama will be our next president, and that my taxes and fees will go up in a BIG way. To compensate for these increases, I figure that the Customer will have to see an increase in my fees to them of about 8 to 10%. I will also have to lay off six of my employees. This really bothered me as I believe we are family here and didn't know how to choose who will have to go. So, this is what I did. I strolled thru the parking lot and found eight Obama bumper stickers on my employees' cars. I have decided these folks will be the first to be laid off. I can't think of another fair way to approach this problem. If you have a better idea, let me know. I am sending this letter to all business owners that I know. I don't think there are any federal anti-discrimination laws that would apply here. Update: Another letter from a small business owner, this one directed to Barack Obama. Given the uproar about the simple question asked you by Joe the plumber, and the persecution that has been heaped on him because he dared to question you, I find myself motivated to say a few things to you myself. While Joe aspires to start a business someday, I already have started not one, but 4 businesses. But first, let me introduce myself. You can call me "Cory the well driller". I am a 54 year old high school graduate. I didn't go to college like you, I was too ready to go "conquer the world" when I finished high school. 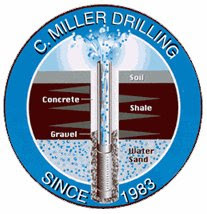 25 years ago at age 29, I started my own water well drilling business at a time when the economy here in East Texas was in a tailspin from the crash of the early 80's oil boom. I didn't get any help from the government, nor did I look for any. I borrowed what I could from my sister, my uncle, and even the pawn shop and managed to scrape together a homemade drill rig and a few tools to do my first job. My businesses did not start as a result of privilege. They are the result of my personal drive, personal ambition, self discipline, self reliance, and a determination to treat my customers fairly. From the very start my business provided one other (than myself) East Texan a full time job. I couldn't afford a backhoe the first few years (something every well drilling business had), so I and my helper had to dig the mud pits that are necessary for each and every job with hand shovels. I had to use my 10 year old, 1/2 ton pickup truck for my water tank truck (normally a job for at least a 2 ton truck). A year and a half after I started the business, I scraped together a 20% down payment to get a modest bank loan and bought a (28 year) old, worn out, slightly bigger drilling rig to allow me to drill the deeper water wells in my area. I spent the next few years drilling wells with the rig while simultaneously rebuilding it between jobs. Through these years I never knew from one month to the next if I would have any work or be able to pay the bills. I got behind on my income taxes one year, and spent the next two years paying that back (with penalty and interest) while keeping up with ongoing taxes. I got behind on my water well supply bill 2 different years (way behind the second time... $80,000.00), and spent over a year paying it back (each time) while continuing to pay for ongoing supplies C.O.D.. Of course, the personal stress endured through these experiences and years is hard to measure. I do have a stent in my heart now to memorialize it all. I spent the next 10 years developing the reputation for being the most competent and most honest water well driller in East Texas. 2 years along the way, I hired another full time employee for the drilling business so that we could provide full time water well pump service as well as the well drilling. Also, 3 years along the path, I bought a water well screen service machine from a friend, starting business # 2. 5 years later I made a business loan for $100,000.00 to build a new, higher production, computer controlled screen service machine. I had designed the machine myself, and it didn't work out for 3 years so I had to make the loan payments without the benefit of any added income from the new machine. No government program was there to help me with the payments, or to help me sleep at night as I lay awake wondering how I would solve my machine problems or pay my bills. Finally, after 3 years, I got the screen machine working properly, and that provided another full time job for an East Texan in the screen service business. 2 years after that, I made another business loan, this time for $250,000.00, to buy another used drilling rig and all the support equipment needed to run another, larger, drill rig. This provided another 2 full time jobs for East Texans. Again, I spent a couple of years not knowing if I had made a smart move, or a move that would bankrupt me. For the third time in 13 years, I had placed everything I owned on the line, risking everything, in order to build a business. A couple of years into this, I came up with a bright idea for a new kind of mud pump, a fundamentally necessary pump used on water well drill rigs. I spent my entire life savings to date (just $30,000.00), building a prototype of the pump and took it to the national water well convention to show it off. Customers immediately started coming out of the woodworks to buy the pumps, but there was a problem. I had depleted my assets making the prototype, and nobody would make me a business loan to start production of the new pumps. With several deposits for pump orders in hand, and nowhere to go, I finally started applying for as many credit card as I could find and took cash withdrawals on these cards to the tune of over $150,000.00 (including modest loans from my dear sister and brother), to get this 3rd business going. Yes, once again, I had everything hanging over the line in an effort to start another business. I had never manufactured anything, and I had to design and bring into production a complex hydraulic machine from an untested prototype to a reliable production model (in six months). How many nights I lay awake wondering if I had just made the paramount mistake of my life I cannot tell you, but there were plenty. I managed to get the pumps into production, which immediately created another 2 full time jobs in East Texas. Some of the models in the first year suffered from quality issues due to the poor workmanship of one of my key suppliers, so I and an employee (another East Texan employed) had to drive across the country to repair customers' pumps, practically from coast to coast. I stood behind the product, and made payments to all the credit cards that had financed me (and my brother and sister). I spent the next 5 years improving and refining the product, building a reputation for the pump and the company, working to get the pump into drill rig manufacturers' product lines, and paying back credit cards. During all this time I continued to manage a growing water well business that was now operating 3 drill rig crews, and 2 well service crews. Also, the screen service business continued to grow. No government programs were there to help me, Mr. Obama, but that's ok, I didn't expect any, nor did I want any. I was too busy fighting to make success happen to sit around waiting for the government to help me. Now, we have been manufacturing the mud pumps for 7 years, my combined businesses employ 32 full time employees, and distribute $5,000,000.00 annually through the local economy. Now, just 4 months ago I borrowed $1,254,000.00, purchasing computer controlled machining equipment to start my 4th business, a production machine shop. The machine shop will serve the mud pump company so that we can better manufacture our pumps that are being shipped worldwide. Of course, the machine shop will also do work for outside companies as well. This has already produced 2 more full time jobs, and 2 more should develop out of it in the next few months. This should work out, but if it doesn't it will be because you, and the other professional politicians like yourself, will have destroyed our countrys' (and the world) economy with your meddling with mortgage loan programs through your liberal manipulation and intimidation of loaning institutions to make sure that unqualified borrowers could get mortgages. You see, at the very time when I couldn't get a business loan to get my mud pumps into production, you were working with Acorn and the Community Reinvestment Act programs to make sure that unqualified borrowers could buy homes with no down payment, and even no credit or worse yet, bad credit. Even the infamous, liberal, Ninja loans (No Income, No Job or Assets). While these unqualified borrowers were enjoying unrealistically low interest rates, I was paying 22% to 24% interest on the credit cards that I had used to provide me the funds for the mud pump business that has created jobs for more East Texans. It's funny, because after 25 years of turning almost every dime of extra money back into my businesses to grow them, it has been only in the last two years that I have finally made enough money to be able to put a little away for retirement, and now the value of that has dropped 40% because of the policies you and your ilk have perpetrated on our country. What is so terribly sad about this is this. America was made great by people who embraced the one-time American culture of self reliance, self motivation, self determination, self discipline, personal betterment, hard work, risk taking. A culture built around the concept that success was in reach of every able bodied American who would strive for it. Each year that less Americans embrace that culture, we all descend together. We descend down the socialist path that has brought country after country ultimately to bitter and unremarkable states. If you and your liberal comrades in the media and school systems would spend half as much effort cultivating a culture of can-do across America as you do cultivating your entitlement culture, we could see Americans at large embracing the conviction that they can elevate themselves through personal betterment, personal achievement, and self reliance. You see, when people embrace such ideals, they act on them. When people act on such ideals, they succeed. All of America could find herself elevating instead of deteriorating. But that would eliminate the need for liberal politicians, wouldn't it, Mr. Obama? The country would not need you if the country was convinced that problem solving was best left with individuals instead of the government. You and all your liberal comrades have got a vested interested in creating a dependent class in our country. It is the very business of liberals to create an ever expanding dependence on government. What's remarkable is that you, who have never produced a job in your life, are going to tax me to take more of my money and give it to people who wouldn't need my money if they would get off their entitlement mentality asses and apply themselves at work, demand more from themselves, and quit looking to liberal politicians to raise their station in life. You see, I know because I've had them work for me before. Hundreds of them over these 25 years. People who simply will not show up to work on time. People who just will not work 5 days in a week, much less, 6 days. People always looking for a way to put less effort out. People who actually tell me that they would do more if I just would first pay them more. People who take off work to sit in government offices to apply to get free government handouts (gee, I wonder how things would have turned out for them if they had spent that time earning money and pleasing their employer?). You see, all of this comes from your entitlement mentality culture. Oh, I know you will say I am uncompassionate. Sorry, Mr. Obama, wrong again. You see, I've seen what the average percentage of your income has been given to charities over the years of 2000 to 2004 (ignoring the years you started running for office - can you pronounce "politically motivated"), you averaged less than 1% annually. And your running mate, Joe Biden, averaged less than ¼% of his annual income in charitable contributions over the last 10 years. Like so many liberals, the two of you want to give to the needy, just as long as it is someone else's money you are giving to them. I won't say what I have given to charities over the last 25 years, but the percentage is several times more than you and Joe Biden. combined (don't you just hate google?). Tell me again how you feel my pain. In short, Mr. Obama, your political philosophies represent everything that is wrong with our country. You represent the culture of government dependence instead of self reliance; Entitlement mentality instead of personal achievement; Penalization of the successful to reward the unmotivated; Political correctness instead of open mindedness and open debate. If you are successful, you may preside over the final transformation of America from being the greatest and most self-reliant culture on earth, to just another country of whiners and wimps, who sit around looking to the government to solve their problems. Like all of western Europe. All countries on the decline. All countries that, because of liberal socialistic mentalities, have a little less to offer mankind every year. just a ordinary, extraordinary American, the way a lot of Americans used to be. 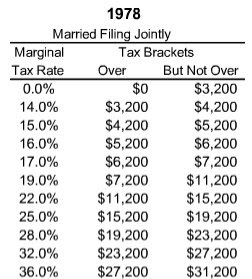 Reprise: When Carter "spread the wealth"
Check out the tax rates when Jimmy Earl Carter served as "president" in '78. That's right. Carter's tax rates "spread the wealth" by confiscating 70% of any earnings over $203K. Seventy percent! That motivates a lot of folks to demand cash, hide income, cheat, operate in the black-market and/or not bother to work any harder. 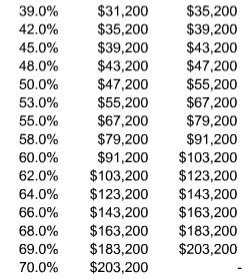 Even if you earned only $47K, Carter wanted half. Half!. As for the results? In 1980 Time magazine put it this way. ...inflation is not only a frightening economic problem but is rapidly becoming Carter's most dangerous political liability as well... In the past few weeks, however, a new side of inflationary psychology has begun to show itself among businessmen and investors: plain, old-fashioned fear. Executives talk of inflation rates going to 20% or more in the next few months, creating an environment in which reasonable planning is impossible. The jitters have unhinged the investment markets. As recently as mid-February, stocks were widely considered a hedge against inflation and thought to be grossly undervalued. The Dow Jones industrial average hit a high of 904 on Feb. 13. But since then it has tumbled 92 points, to 812; nine points of the decline came last week. The average is now lower than it was 16 years ago. Sound familiar? Maybe there's validity to the contention that the recent stock market turmoil can be termed an "Obama Panic". That is, investors anticipate a disastrous set of Carter-esque policies that send the economy into a tailspin and respond accordingly. What were the results of Carter's "wealth-spreading" policies? Inflation rose dramatically, nearly touching 15% by 1980. 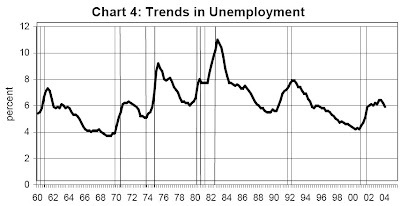 Unemployment rose to 11% shortly thereafter. The economy didn't return to health until President Reagan spearheaded lower tax rates. The history is clear: oppressive tax rates for the "rich" (really, just businesspeople small and large) is disastrous for employment and wounds the economy. Starting to get the picture? 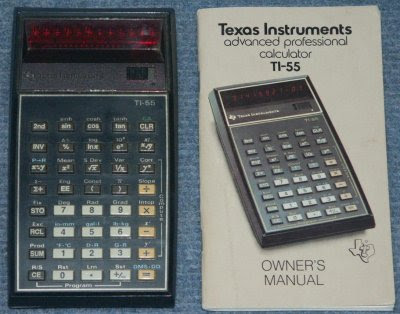 Really feel like experiencing a 1980's style economic disaster? Then I urge you to vote for Barack Obama. Update: Amil Amani at the American Thinker: "Obama's economic plan is a recipe for long-lasting disaster. Keep in mind that wrecking anything, as opposed to building things, requires very little time and effort. Obama's plan is deceptively attractive, while in reality it is a huge wrecking ball that will capsize the already listing ship of our economy. Here is a partial list of reasons why..." And The Wall Street Journal: "Business Finally Fights Back - The business community is back in politics. After years of contented political gridlock, American companies are now officially horrified at what an all-Democratic Washington intends to inflict on the U.S. economy. The Chamber is throwing its extensive resources at denying the left a filibuster-proof Senate. In doing so, it has stuck its finger in the Democratic leadership's beehive, and is facing retribution..."
Google is running a campaign that I strongly support. It's called Free the Airwaves and it aims to re-purpose some analog television spectrum to something eminently useful: free wireless Internet service. Remember that fuzzy static between channels on the old TVs? Today more than three-quarters of those radio airwaves, or "white space" spectrum, are completely unused. This vast public resource could offer a revolution in wireless services of all kinds, including universal wireless Internet. The FCC will soon decide whether to open this unused spectrum for general usage, and your voice matters -- a lot. So if you agree that freeing the white spaces represents a vote for the future of the Internet, please sign our petition and help spread the word about this campaign. Who's opposed to it? You guessed it: folks like Verizon ("it's the network, stupid!") and others who tightly control their spectrum, keep innovation locked down to a minimum, and certainly don't want any competition. 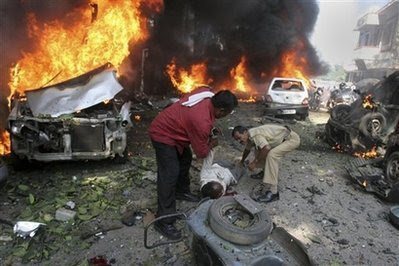 You can sign the petition to lend your support. Let's beat down the government-sponsored telco monopolies and unleash a new generation of American innovation! The new math. Or should I say: the new Obamath? in new spending. That's $1.32 trillion. He says he'll do this in conjunction with a "middle class tax cut". Oh. And that 95% of Americans will receive this "tax cut". According to the Census Bureau, there are approximately 100 million households in the U.S. Five percent would, of course, be five million households in the U.S. Translated: the top 5% of 100 million households will fund all new spending. If five million households are going to fund $1.32 trillion in new spending, how much does the government have to increase taxes on each of the unlucky households? Anyone have a calculator handy? You read that right. More than a quarter million dollars per household. Legacy media can't bother with these complex calculations, possibly because their IT budgets have been slashed what with the Times stock price and all. Suffice it to say that Barack Obama's new math doesn't survive even the most cursory review. Put simply, every working person in America will receive a monstrous increase in taxes when the Bush tax cuts expire. Tack on the "WealthSpreader™" tax and we've got a surefire recipe for economic disaster. Does the name "Jimmy Carter" ring a bell? 18% inflation wasn't all bad because I got some great raises. Update: The Wall Street Journal asks, "How's Obama Going to Raise $4.3 Trillion?" Tired of working? Now you don't have to! The new Obama posters are here! Why was Barack Obama visiting Bill Ayers in 2007? 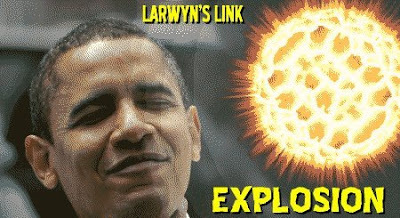 Larwyn's Link Kerplosion: "The Silenced Majority"
Hey, ho! U.S. out of Chicago! 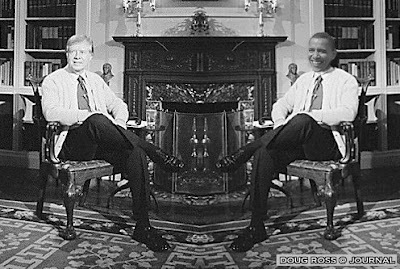 ACORN "basically raped our voter rolls"
New on ABC: The Barack Bunch! "Zero to 60 mph in 3.4 brain-scrambling seconds"